Today is my first blogpost here at CME, Rozzan from Sweden. It's a honor for me to be here and I hope I can inspire you. so today I have done a card that is a little bit tougher, since it is for a boy. 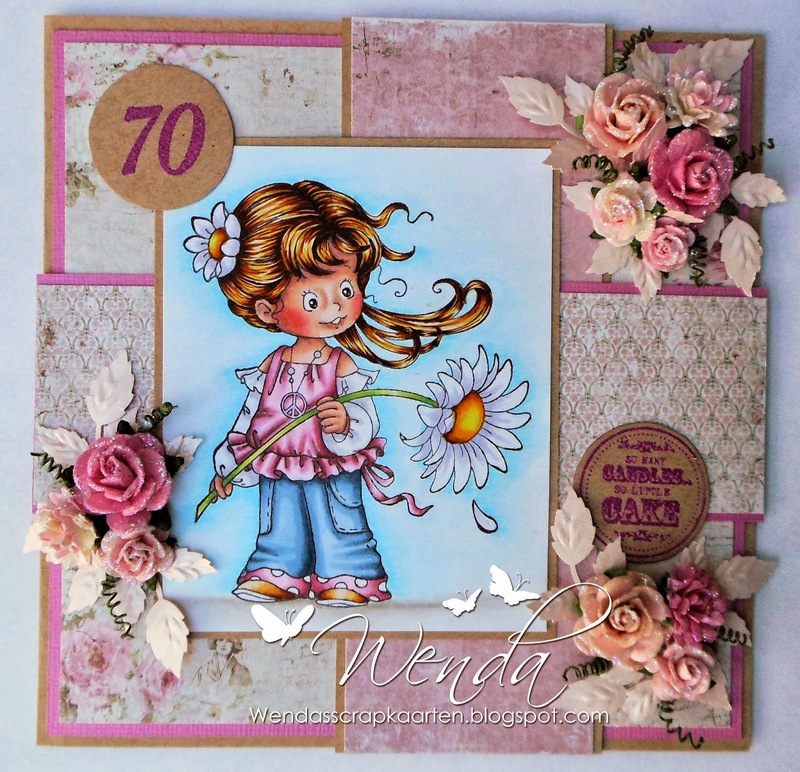 The stamp is from webb and the paper is from K-Designs. 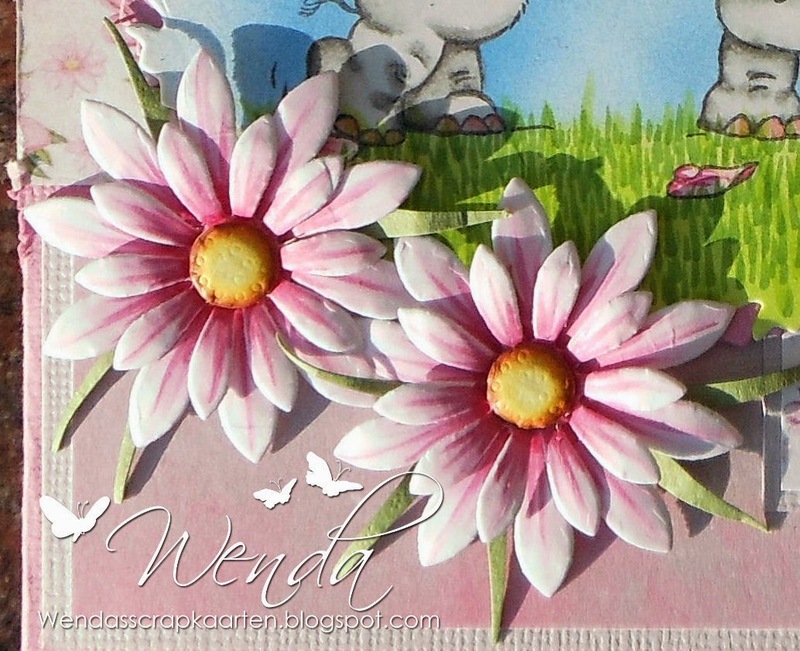 It's my turn today (Wenda ) to show you a card. 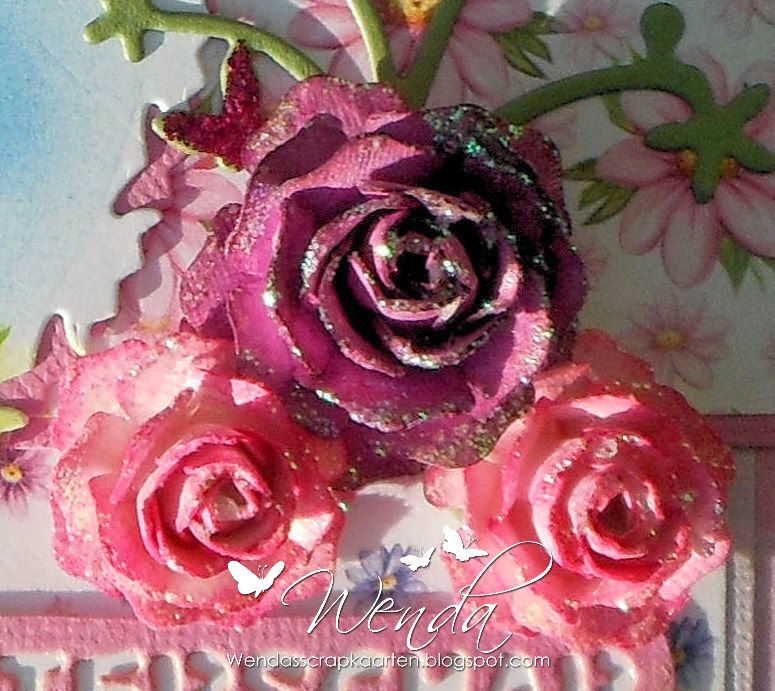 I made one with a stamp from "Wild Rose Studio" de card I made for the daughter of Nellie Snellen, she asked me cards to make for her shop. Of course I colored with copic's my favorite color medium. The roses are hand made. I hope you got new inspirations to make your own cards. I think it is time for a Candy. We want to reach at least 1400 Followers, if you help us, we will give a change to win a great Copic accessory, the Copic Carrying Case. It will be without markers, sorry. 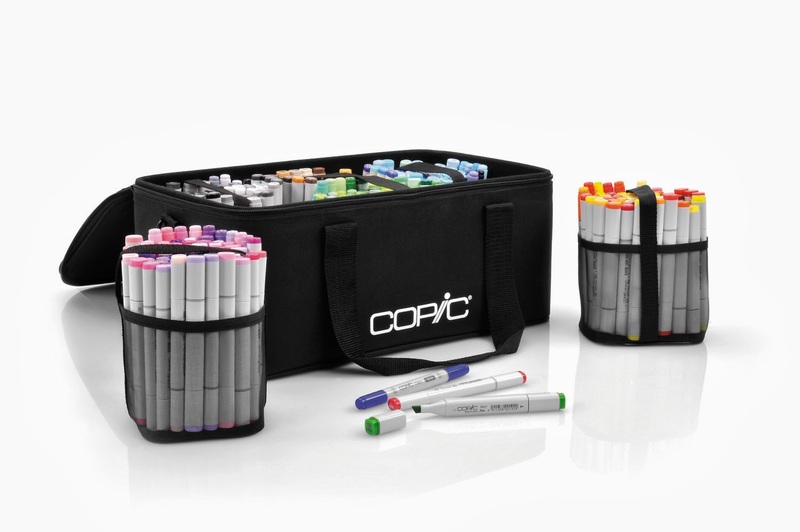 There is place in it for more than all your 358 Copic markers, you can also put your Spica's or Multiliners in it. It is very lightweight, incase you want to travel accompanied by your markers. We will send it only to European contires and the Middle East. 2. Enter your name in Mr. Linky . 4. Put a comment under this post, were you tell us what you think about this blog. she has showed us a lot of inspirational project during the last year. We want to thank Angie for all her work and wish her the best for the future. 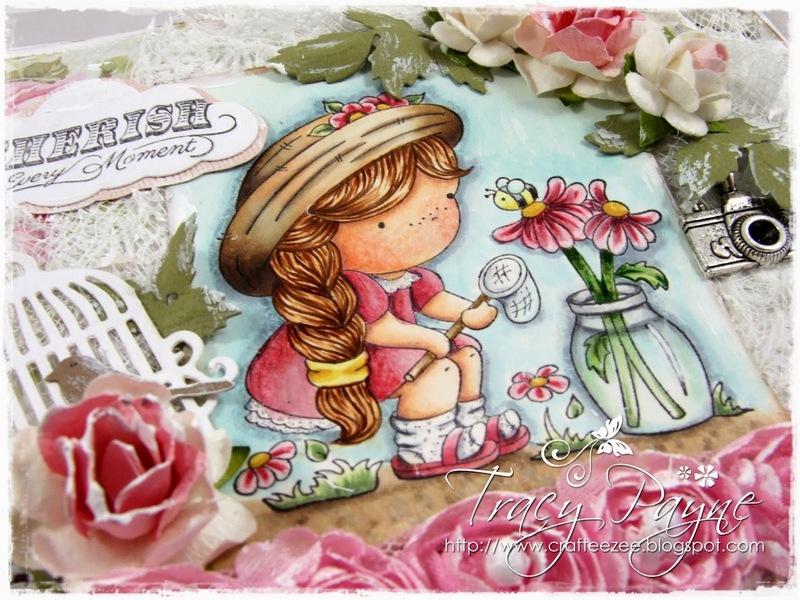 When we say goodbye there is in the same time a welcome to new DT member: Rositha Gafvert our Copic Instructor from Sweden. She is a very good colourer and a nice girl. I have met her during the Copic Meeting in Wiesbaden and enjoyed her company. She will show us her stunning projects. 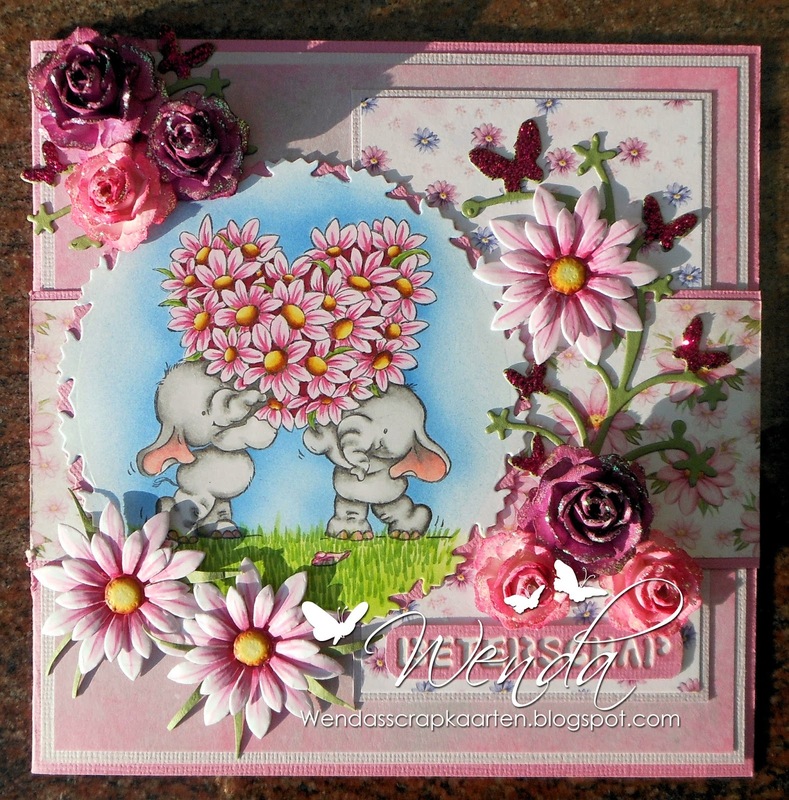 Hello Rositha, I hope you will feel well in our Design Team and inspire us with your cards and tutorials. I looke forward to be a part of Copic Marker Europe and I hopes that I can understand the roules och the language, if not I hopes you can tell me the right. 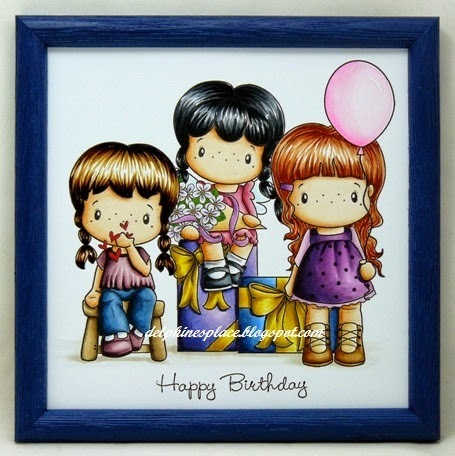 Hi everyone, today it's my turn again to post a creation on this blog. For today I used this cute little sleeping fairy (20 winks by Rick St Dennis) . E000, E02, E13, E17,BG49, BG754, B0000, B04, BV00, V15, G94,G99, YG03 and YG17. 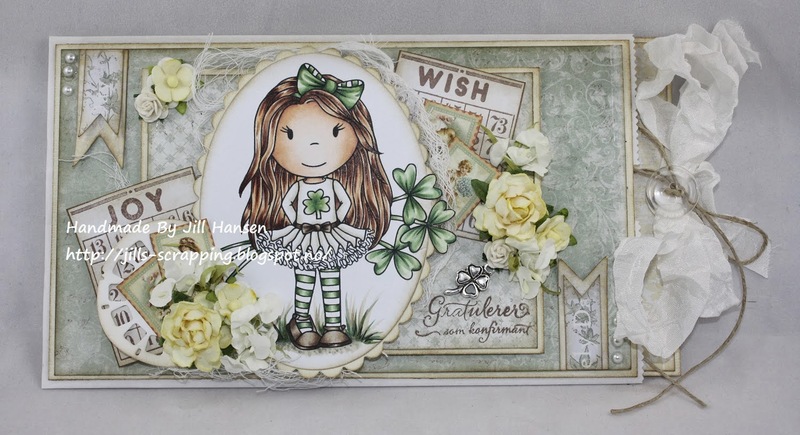 The background is made with some of the fabby Dutch Doobadoo stencils using an airbrush and the colours: B04, V15Y and G15. 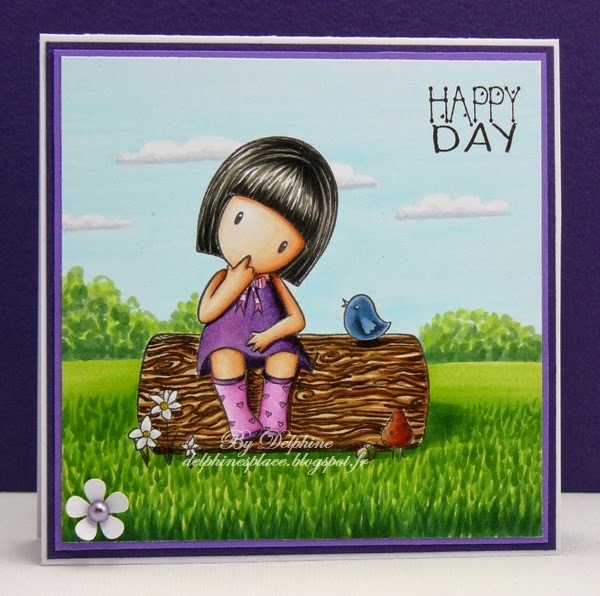 I also used some stamps for the background, all designed by Noor! design. 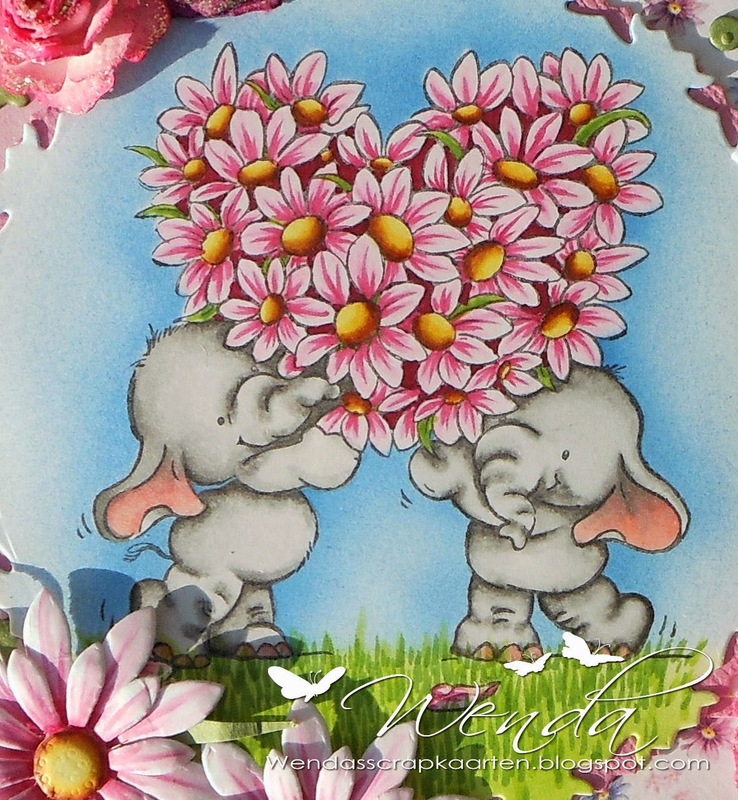 The flowers are from the hobby and craftshop and coloured with V15 and B04. for the Copic Marker Europe Blog Challenge. with your request for 3 Copic Sketch markers. 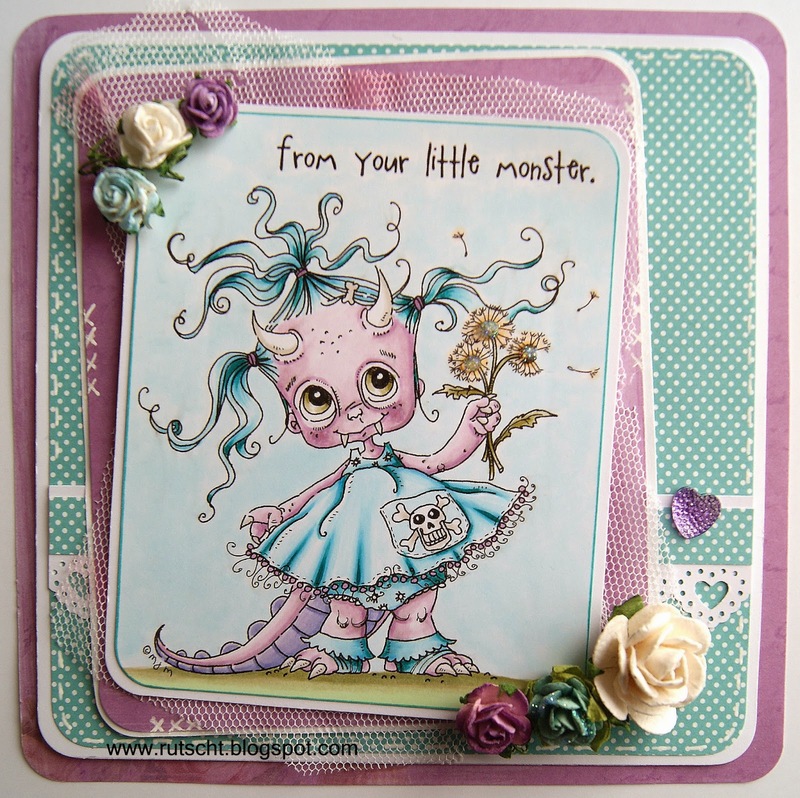 This is Barbara/Kreativmonster for you with one more card made with the Copic Airbrush-system. 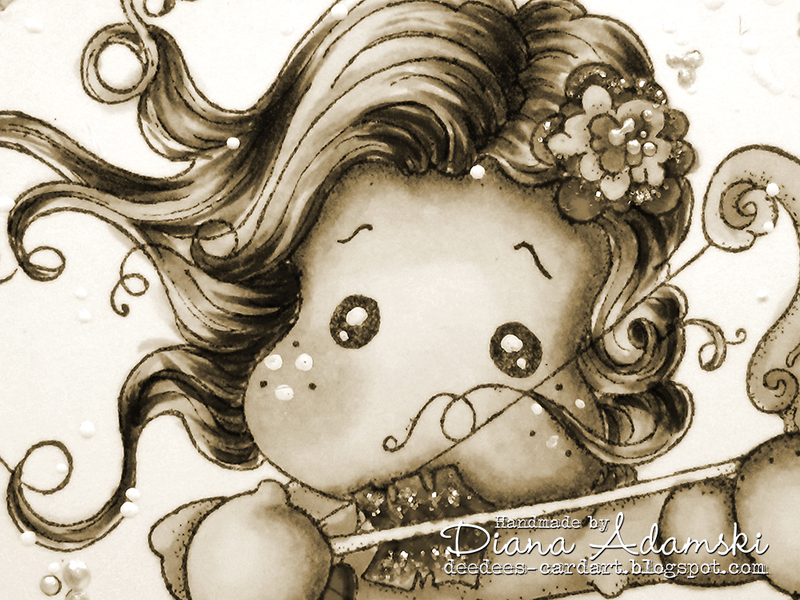 I am quite hooked on the Airbrush lately, it is so versatile! Here I used different techniques to create the background. I sprayed a layer of BG72 and W4 first, than added some BG75 and W6. In the end I added some sprays of BG78 and W8 using the marker brush-nip first in the airgrip. Then I sprayed some activator onto my gear-stamps and pressed them onto the surface. That is how the white light coloured gear are created. Then I applied some colour directly onto the stamp, sprayed some activator onto the paper and pressed the stamp there. All these techniques are subject of our "Special Techniques 3"-class of the ECCP. My card is perfect for most of my male family members or friends! 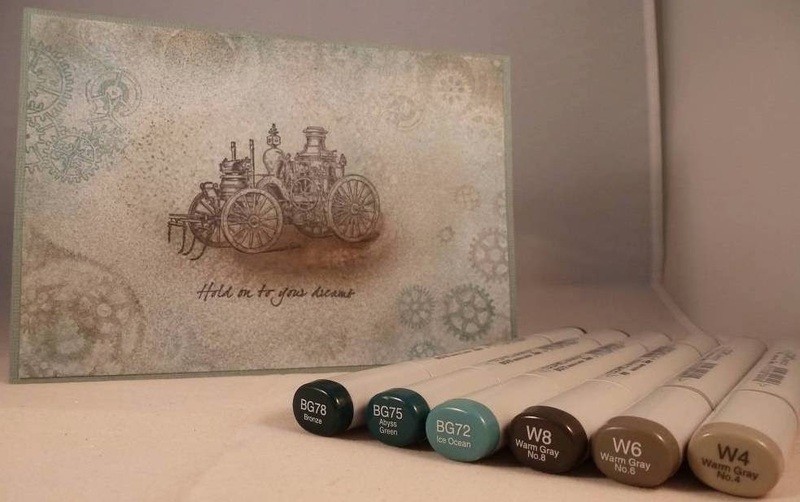 Copic Marker Europe Blog Challenge. As there have not been as many entries as usual, our last challenge "Colouring Ground" seems to have been hard for many of you! 3 sketch markers of your choice. Please be aware that only entries from those living in Europe, North Africa and the Middle East are possible. before the end of 22nd April 2014. The winner will be announced 25th of April 2014. We are looking forward to see your creations! My card today for the Copic Europe blog is a little different. 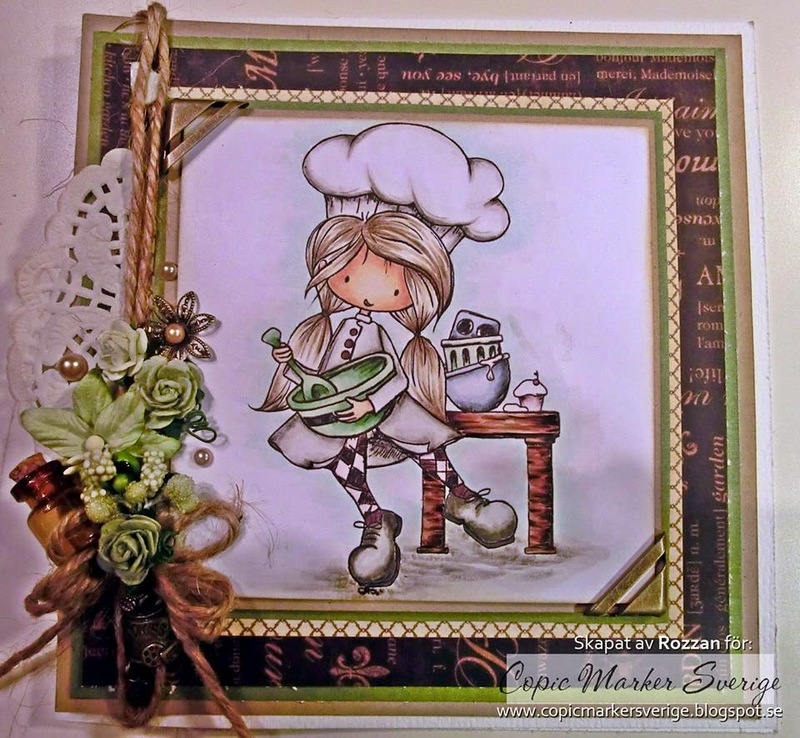 Sometimes I need to paint something different, unusual, not another card with pretty girl stamp. The beauty is found in the heart of who looks. 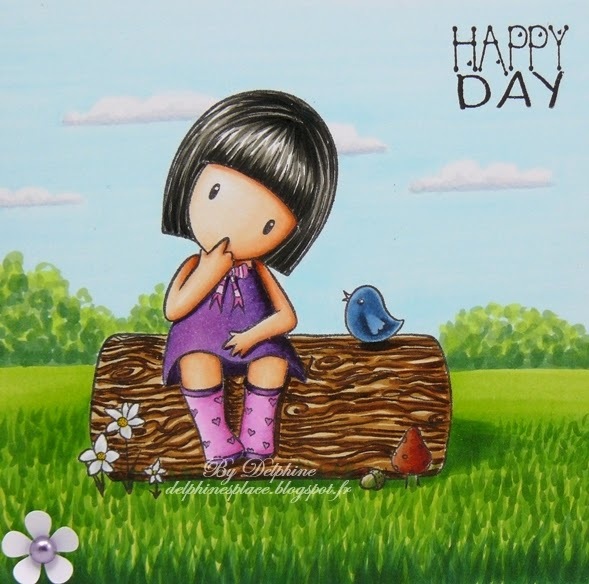 This stamp from Mo's Digital Pencil is not one of her sweet images, but it is still nice, if we look good. Hair: BG49, B00, B01, BG04. Skin: V000, V01, V13, V91. Dress: BG49, BG02, B02, B00, B000. 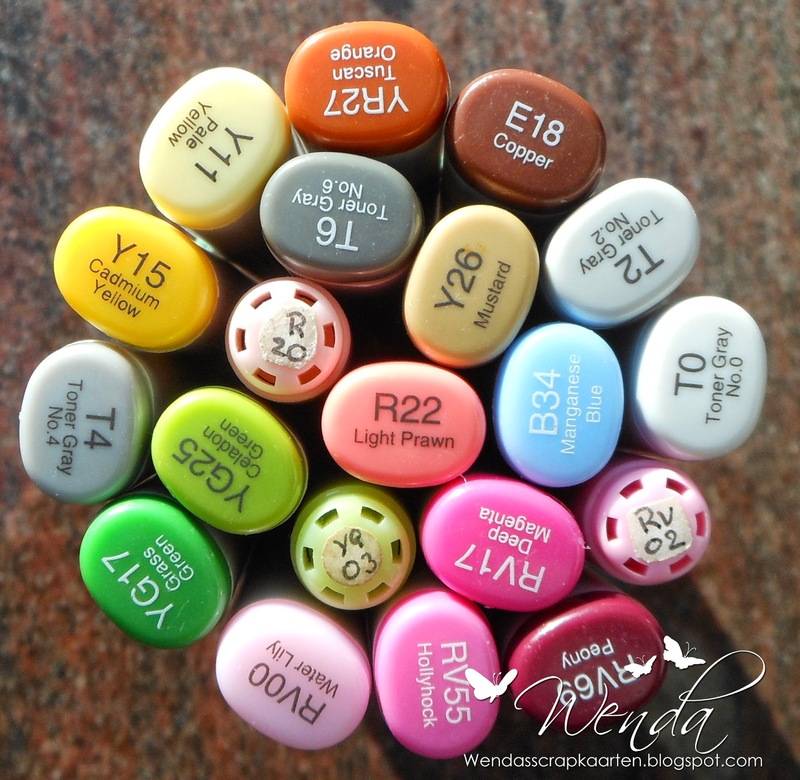 Åsa here today with some Copic inspiration for you. I have made a card with lots of layers on fun folds. The papers are from Maja Design, and the stamp from Bildmålarna. 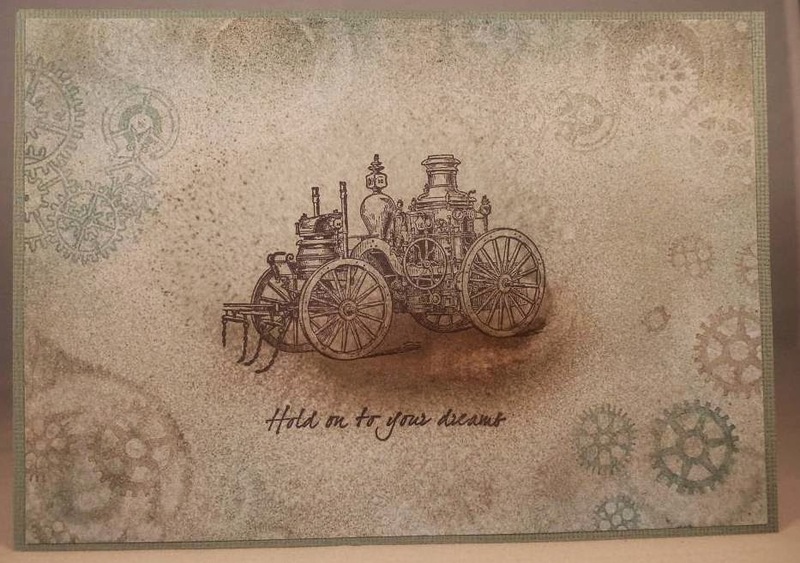 Here are the inside of the card, with a little note and space for a personal greeting. Here are a close up on the motif. 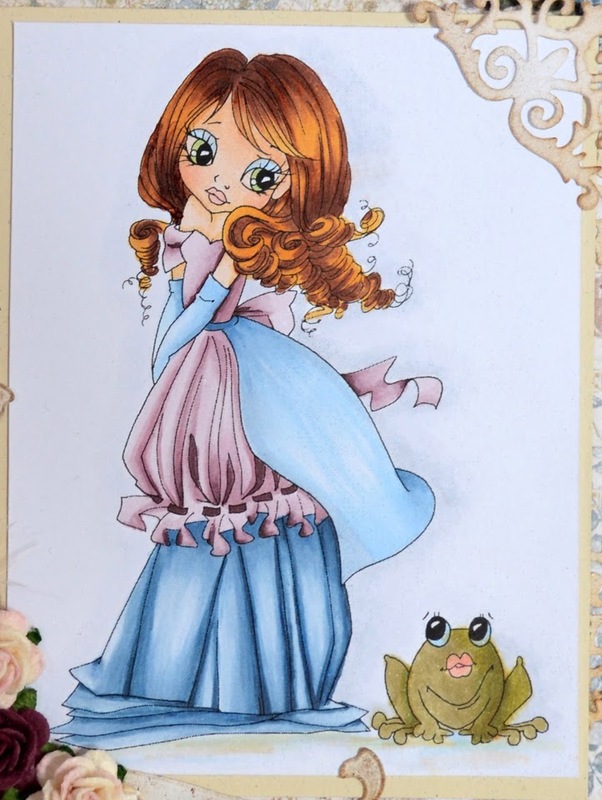 This is Kathrin here today with a new creation using the fabulous Copic Markers. For this post I made a man project. 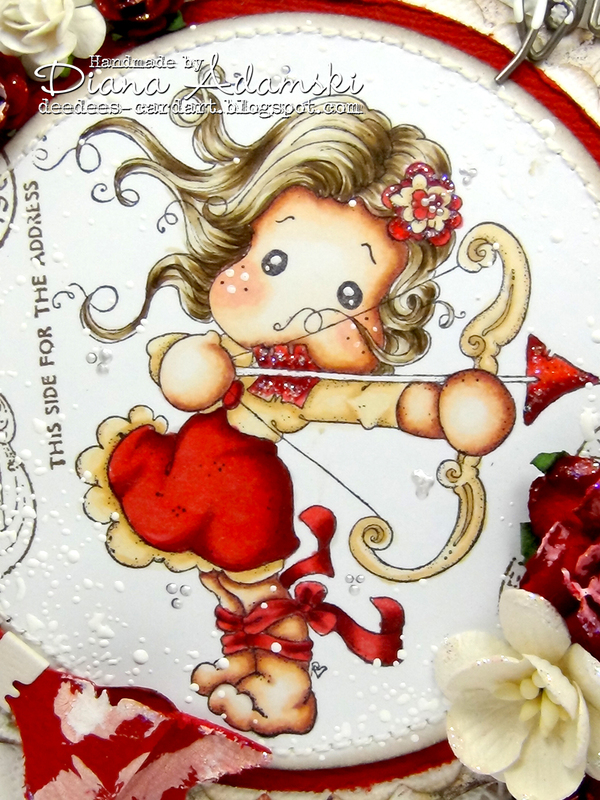 We all love cute cards with lots of embellishments but well, these are usually not what the men in our lives love to get. So when one of my co-workers had to leave for a class of 2 years we gave him this as his farewell gift. It's called a school cone and usually german kids get one of these - just quite bigger - for their very first day of school, filled with candies and little gifts. I used a Kenny K Digi-Image on this one and used the real colors the dresses of the bavarian policemen are wearing. I love the cool and strong look this digi has. It took me quite a while and some mixing of different colors to get them look real. But that's the great thing about Copics - mixing and layering makes everything possible. The rest of the cone has been decorated with little cut out guns and hand cuffs. Have a great and sunny spring day everyone! Hello Hello, me again Copic lovers! Franz from Italy with a new image totally coloured with my copics. I've a lovely Saturated Canary image called "Narwhal Love", I swear (poor me! ), I've never seen this lovely animal before! So I googled it and I found lots of images and I found him too cute! I used the no lines technique, I've lot of fun with it and I think it fits very well to Krista's images. 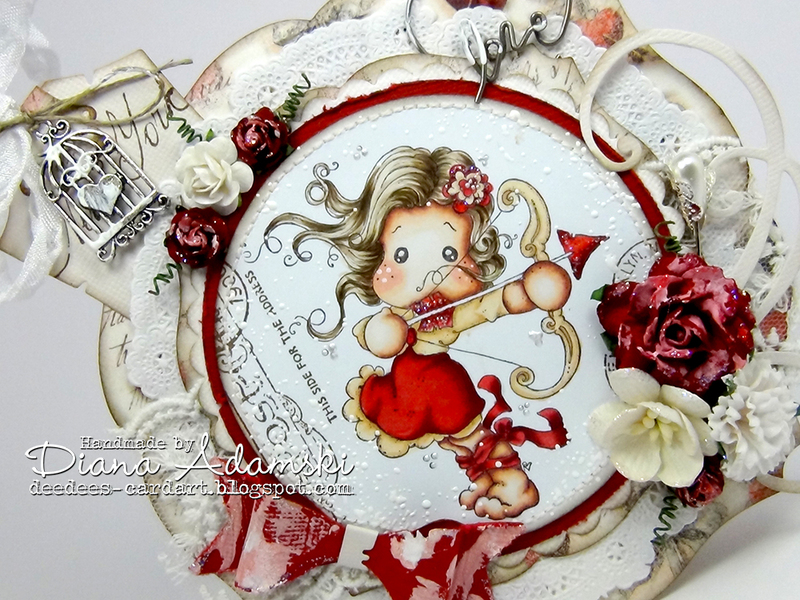 The papers I used for my card are from Maja Design and My Mind's Eye, all the embellishments are from The Ribbon Girl. Let's try the no lines colouring technique! please take a vist and follow the blog at this link. 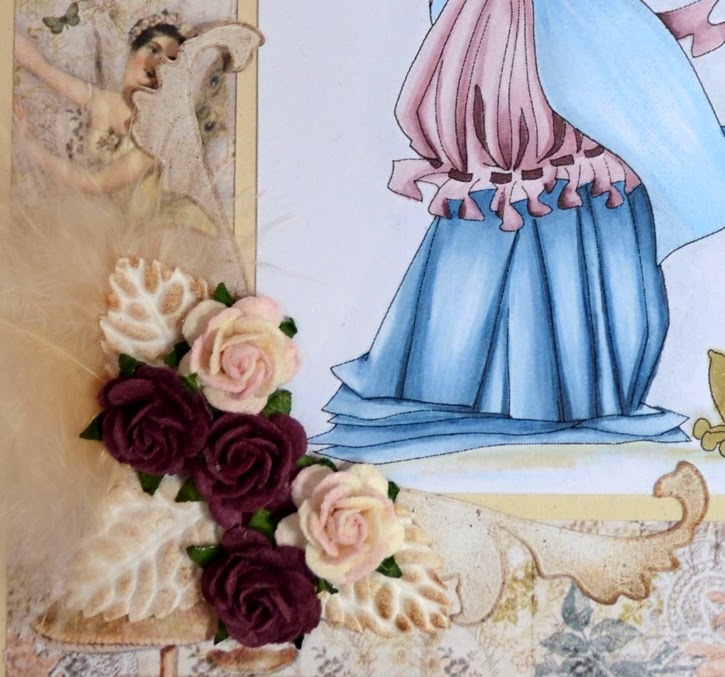 Today I'm back at the row to show you a new inspiration with the Copic Markers. Today I have brought you a new motive of Magnolia. It is Sagrittarius Tilda and is from the brand new Zodiac Collection. The paper is also from Magnolia. It comes from the With Love Collection. Iwish you a wonderful Sunday! I have a lovely image colored with how else, my copic markers. The papers I have use are from a paper pad from Prima Marketing, Its an older one, this pad Is waiting for a long. The doilly is Tattered Lace, this dies are so detailed and beautiful. The paper comes so easy out of the die. The leaves are dies from Die-namic. The roses I bought in the scrapbook store in our area. The copic markers I colored with.